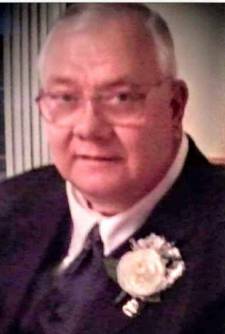 Obituary for Jay Stephen (Kange) Orlopp | Norman L. Waterman Funeral Home, Inc.
Clifton Springs - Jay Stephen Orlopp, 71, entered eternal rest on Monday, December 3, 2018. Family will greet friends Wednesday (Dec. 5) from 4 to 7 p.m. at the Norman L. Waterman Funeral Home, Inc.,124 W. Miller St, Newark. A Memorial Service will be Thursday (Dec. 6) at 4 p.m. at Wellspring Church, 22 Teft Ave. Clifton Springs, NY. Jay was born the son of the late Donald F. and Genevieve R. (Tyler) Orlopp on Tuesday, April 22, 1947, in Newark, NY. He spent his life in the Clifton Springs area, graduating from Newark High School. Jay was a retired correction officer for the Wayne County Sheriffs Department. He enjoyed old cars, camping and above all he enjoyed spending time with his children. Jay will be remembered by his loving wife, Wanda (Karge) Orlopp; sons, Ricky (Lisa) Orlopp, Steven (Ashley) Orlopp and Rick (Trish) Poole; daughters, Rhonda Poole - D'Angelo, Tammy (Rob) Orlopp, Kerry (Shawn) VanGee and Lynn (Stephen) Lebrecht; 25 grandchildren and several great-grandchildren; three sisters; four brothers; special friends, Conrad (Sue) Scorc and Gary (Judy) Hartman. Jay was predeceased by his daughter, Kathy Orlopp; first wife, Janet Marie Hunt.